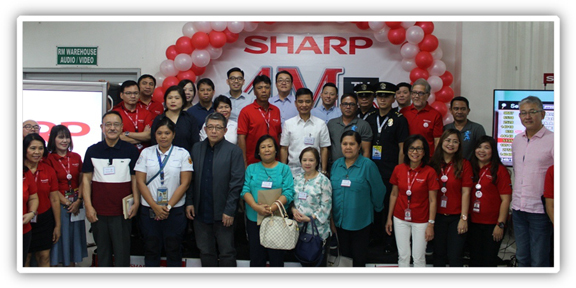 Sharp Philippines Corporation gathered together as they marked 4-millionth TV production last Feb. 27 at its head office at Muntinlupa City. Headed by its President and General Manager, Kazuo Kito, and graced by Muntinlupa Mayor Jaime Fresnedi, the celebration with employees and young generations in Muntinlupa proved how far they have come to be the longest-running TV production in the country. As a part of the Thanksgiving event, Sharp Philippines donated LED TV To the Municipality of Muntinlupa, Muntinlupa Fire Department, Muntinlupa Disaster Risk Reduction & Management Office, Elsie Gatches, and Elsie Gatches, Mintcor Village, Rizal Village, Brgy. Cupang.